This unique chocolate gift hamper shaped in the form of a packing box is adorned with the glittering silver artwork over the flaps. 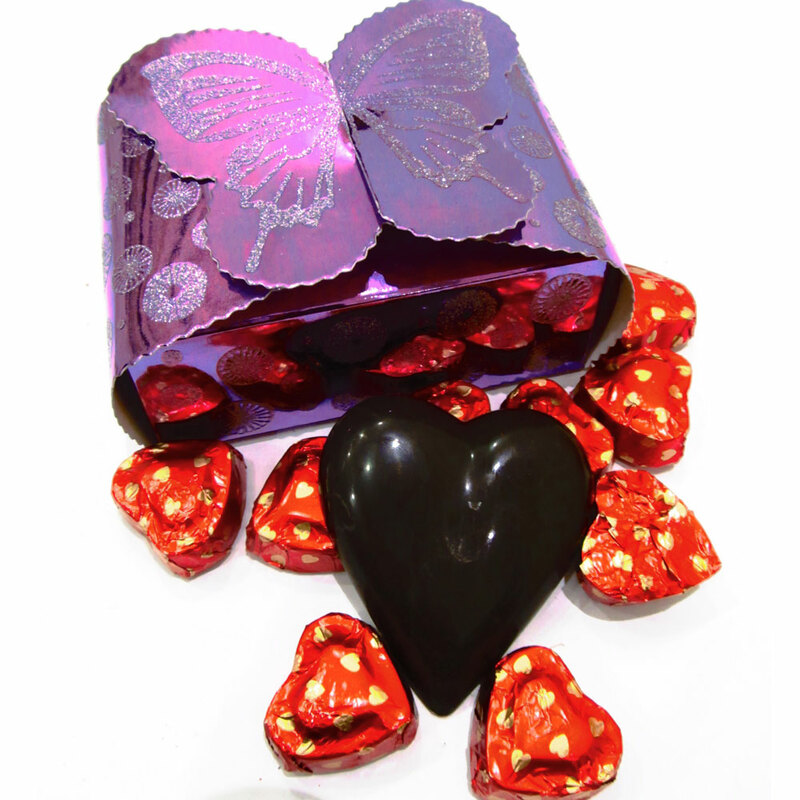 This unique chocolate gift hamper shaped in the form of a packing box is adorned with the glittering silver artwork over the flaps, which are Read More..designed like a butterfly. The box is packed with 1 big dark brown heart shaped chocolate along with 10 smaller beautifully wrapped heart shaped chocolates. Show Less..